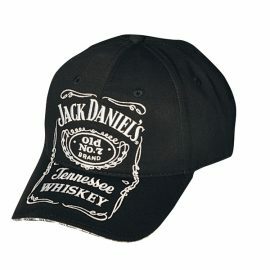 New Item! Embossed Pewter flask handcrafted in the U.K. Volume 6 oz. 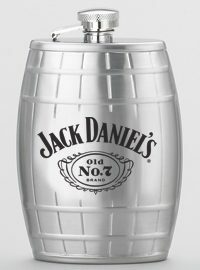 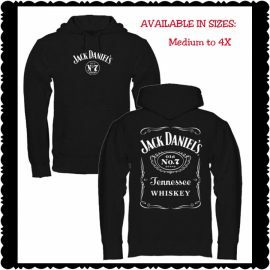 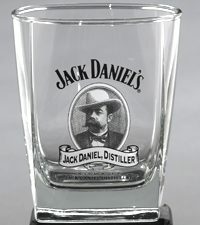 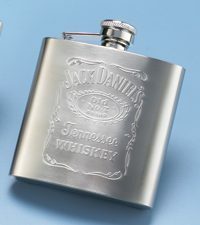 Brightly polished permanent finish with the Jack Daniel's Swing logo and Old No. 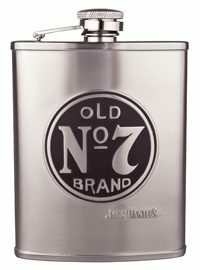 7 brand. 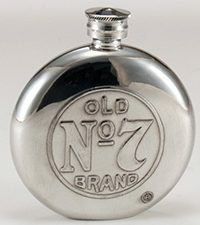 Flask hold 7 oz. 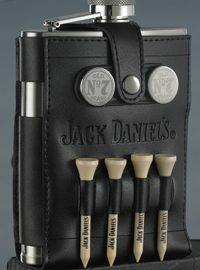 Leather inset with silver screened print and ribbed sides. 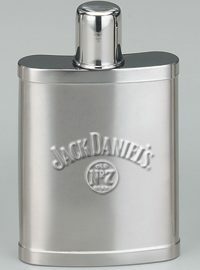 Brightly polished permanent finish flask. 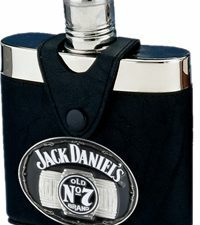 Jack Daniel's® Leather covered flask with badge. 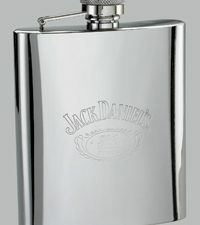 Flask is stainless steel. 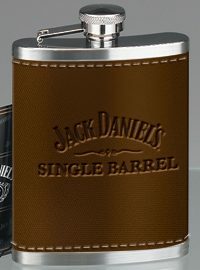 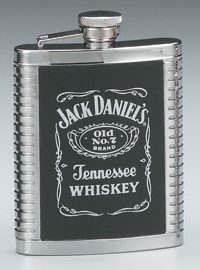 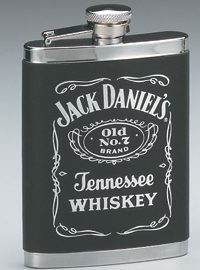 The Jack Daniel's Label logo appears on the front of the flask.